i9 Processing Finally Arrives for the iMac. Subscribe & Discover Your Solution from HardSoft. With the Radeon Pro 580X GPU with 8GB of GDDR5 RAM, 2TB Fusion Drive & 9th Generation Intel Core i9 Processor. This iMac is the most powerful Configuration available. 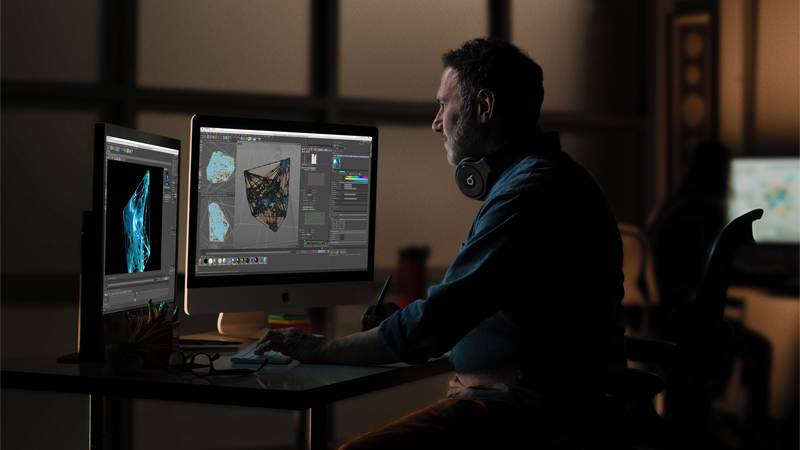 Boost the power by adding up to 64GB of RAM to your order & fly through the Adobe Creative Suite, 8K Raw Footage Editing or even CAD Design Software. Explore this powerful all-in-one with the innovative Mojave O/S & make this dream hardware a reality by discovering your leasing solution. 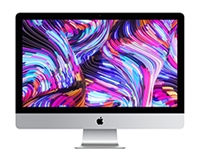 Configure your iMac for faster storage & up to 64GB RAM. All new iMacs ship with new Magic Keyboard and Magic Mouse 2 which are now rechargeable, charged directly via the iMac. Subscribe & discover your business’ IT solution covering Accidental Damage, Technical Support, Next-Day Delivery & a full 3-year warranty. Retina Display Show-stopping. Eye-popping. The iconic iMac 27″ with 5K Retina Display, Magic Mouse & Keyboard 2 Available to Lease from HardSoft. 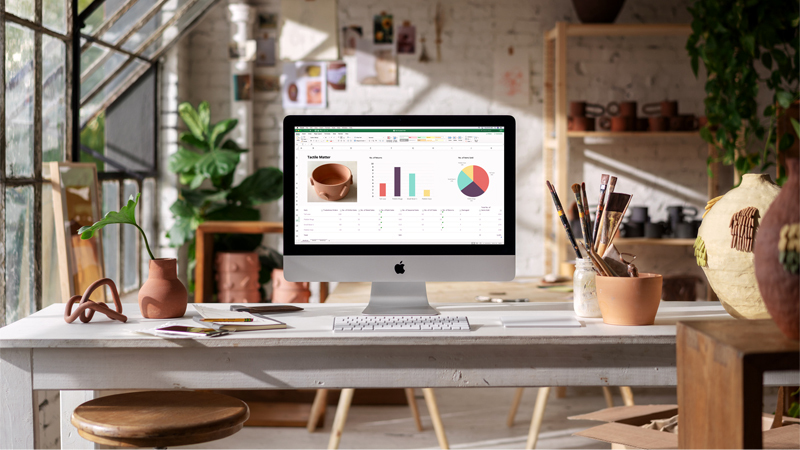 The iMac desktop from Apple is perfect for your home business. 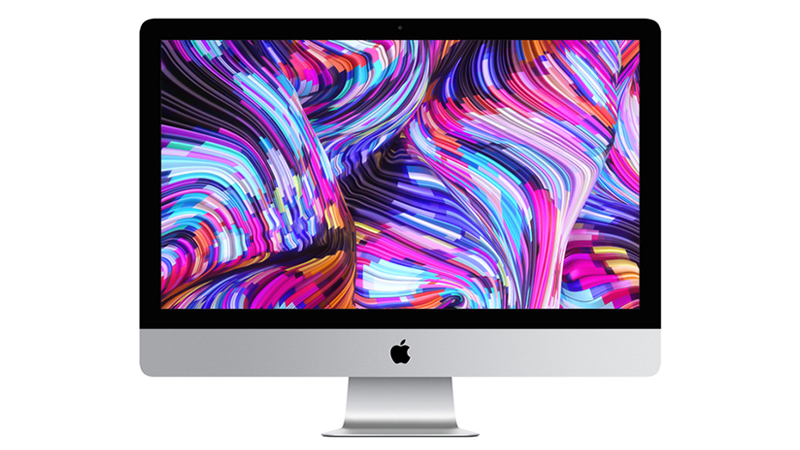 The iMac with Radeon Pro GPU is a creative dream, keeping up with everything from the Adobe Suite to Live Editing.